Writing this in New York just before a US presidential election of global significance, it is easy to overlook the importance and implications for Britain of the judgement of the High Court requiring the government to get parliamentary approval before it triggers the article 50 procedure leading to our self-expulsion from the European Union. This article assumes that the High Court judgement will be upheld by the Supreme Court next month, as most legal experts expect. The court’s judgement has been predictably and reprehensibly vilified by right-wing Brexiteers from the prime minister to the Daily Mail, sometimes in terms clearly intended to undermine the independence of the judiciary, a vital ingredient of democracy. It has been represented as a betrayal of the 52 per cent of those who voted in the June referendum and an attempt to overturn their vote for leaving the EU. The court’s ruling is nothing of the sort. But it is already prompting shrill demands that parliament must “respect” the referendum result and do nothing that might hinder or delay the government’s article 50 notification leading inexorably to Brexit. Parliament is under no such obligation, legally, politically or morally, and it is imperative that Jeremy Corbyn and the Labour party as a whole should make that crystal clear. The case rests on two fundamental assertions: firstly, that the referendum was legally advisory only and could not override the sovereignty of parliament by binding it to take any specific action in the event of one result or the other; and, secondly, that members of parliament owe the electorate their own best judgement of the national interest – taking into account the referendum result – not their obedience to the opinions of a narrow majority in a referendum or otherwise. If, as is probably the case, a majority of MPs and peers remain convinced that Britain will be much worse off in almost every way outside the EU, then they have a solemn legal, political and moral duty to vote against any Bill whose purpose is to authorise the government to trigger article 50. We have heard various views from Labour over the last two days, from Jeremy Corbyn’s “bottom lines” to Tom Watson’s declaration that “the people have spoken” on Brexit. It would therefore require considerable courage for Labour to commit itself to opposing any Bill authorising an Article 50 trigger, thereby provoking screams of fake outrage from the right-wing media. But there are two reasons why this position will be perfectly proper notwithstanding the referendum result. Firstly, since the referendum, it has become clear that Theresa May’s government is determined to aim for a “hard” Brexit, giving priority to reducing immigration from the EU even if that means Britain losing its tariff-free access to the biggest single market in the world – something that no-one can have foreseen at the time of the referendum. Other information, such as the attitudes to Brexit of major EU leaders, has come to light since the referendum that legitimately affects one’s judgement of the pros and cons of Brexit. 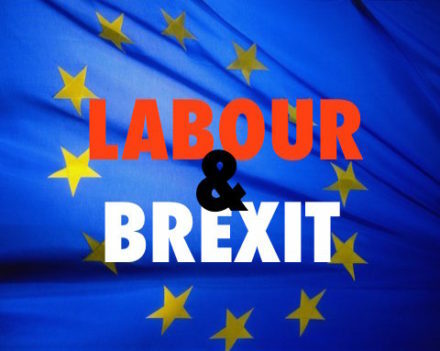 Secondly, Labour, committed like other parties to remaining in the EU, was narrowly defeated in the referendum, but political defeat in no way prohibits a party or an MP from continuing to campaign for what it or he or she continues believes in. When Labour loses an election to the Tories, no-one suggests that it then has a duty to support the policies of the Tory government just because it won a majority in the election. Labour should stick to its guns: Britain is infinitely better off in the EU than out of it, and Labour has a clear duty to vote accordingly in parliament. (b) even if he did, Labour led by Corbyn is almost certainly incapable of winning an election on its own, since only a small minority would vote in such a way as to make him prime minister. There would therefore be a need for a progressive pro-EU, anti-Brexit alliance to fight the election on a platform of denying the government the power to trigger article 50, with support from across the Westminster parties. Now that the courts have proclaimed parliament’s right to vote then the Labour leadership should begin, without waiting for the result of the government’s appeal to the Supreme Court, to talk informally to the Lib Dems, the SNP, and other pro-EU elements, including in the Conservative party, about the mechanics of preventing the trigger for withdrawal. If, however, parliament cannot ultimately be prevented from authorising May to move article 50, then the legislation containing that authority must include the condition that Britain’s notification can be withdrawn further down the lane if the negotiated deal turns out to be unacceptable to parliament or the electorate in a fresh vote. Without that vital proviso, parliament would give May and her hard-line Brexit negotiating team carte blanche to sign up for any agreement with the rest of the EU that would satisfy the most extreme Europhobes on the Tory back benches and the shrillest of the xenophobic media, with parliament and the people completely powerless to do anything about it. Brian Barder is a former civil servant and diplomat who also served as a hospital governor and a member of the Special Immigration Appeals Commission. He campaigns on civil rights issues, writes a blog and is the author of What Diplomats Do.